MOSCOW, July 30. /TASS/. Russia’s airborne forces are to build up the strength of airborne assault divisions to complement them with a third regiment, airborne troops commander Colonel-General Vladimir Shamanov told the media on Thursday. Earlier, Shamanov said that a rapid reaction force would be created on the basis of airborne troops. According to a source in the General Staff, the paratroops’ strength will grow noticeably from 45,000 men to 60,000. The source also mentioned plans for restoring the 104th airborne assault division and create a new airborne assault brigade. "At the moment discussions with the General Staff are in progress. 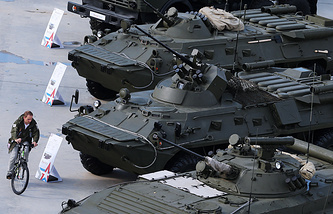 The structure of airborne assault divisions will be expanded and complemented with a third regiment," Shamanov said. He unveiled immediate plans for arming airborne assault divisions with reconnaissance and attack drones. "The units armed with unmanned aircraft are being formed. There are such units in the 83rd brigade in Ussuriysk and the 98th division in Ivanovo already. 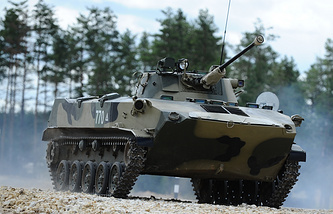 In several years’ time we plan to have such units in each division, regiment and brigade," Shamanov said. Also, the airborne troops are to form their own research and development group of five platoons for designing a flying airborne assault combat vehicle. "The idea of creating a research and development unit on the basis of the Ryazan Paratroop Academy has not materialized yet. We took the issue to the chief of the Armed Forces’ General Staff just recently. There is the understanding that there must be such a research and development group," Shamanov said. Paratroop units will soon be armed with a new ORSIS 7.62 mm sniper rifle. Its government certification tests are to be completed this year. "Its purchases are not on the agenda yet. We are prepared to have it for testing in the field. Our men and special task brigades were invited to check its combat parameters at different stages. Its readiness is positive by and large," Shamanov said.